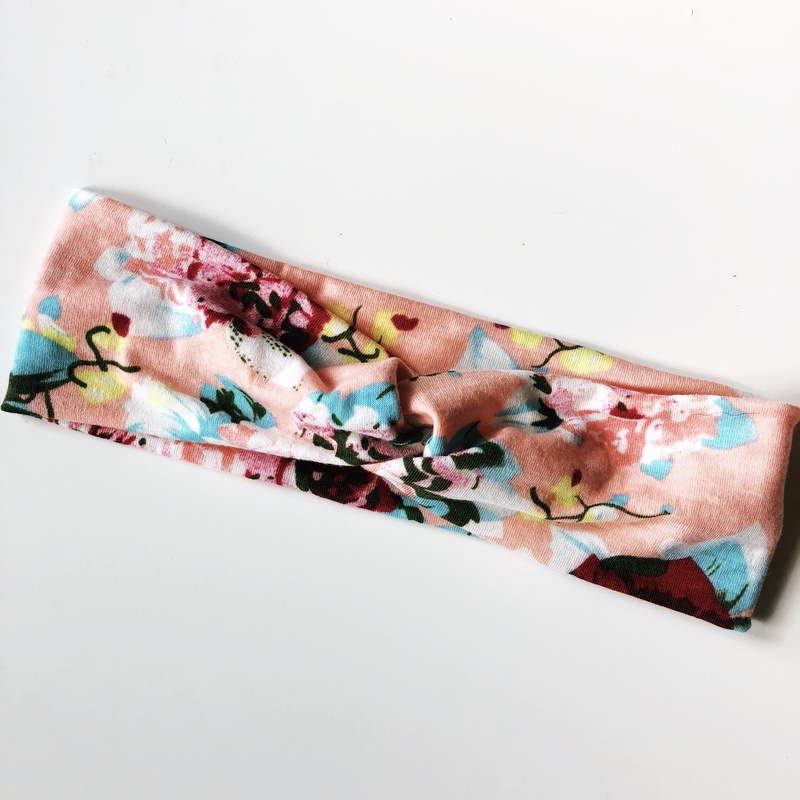 This super soft floral headband is perfect for pairing with a messy bun! The width of the band is approximately 2.75 in. It features a twisted knot in the front, though it is sewn in place and cannot be undone. The circumference of the band is approximately 18 inches when unstretched and can easily be stretched to fit. These headbands were originally featured in the July 2018 Teacher Care Crate.